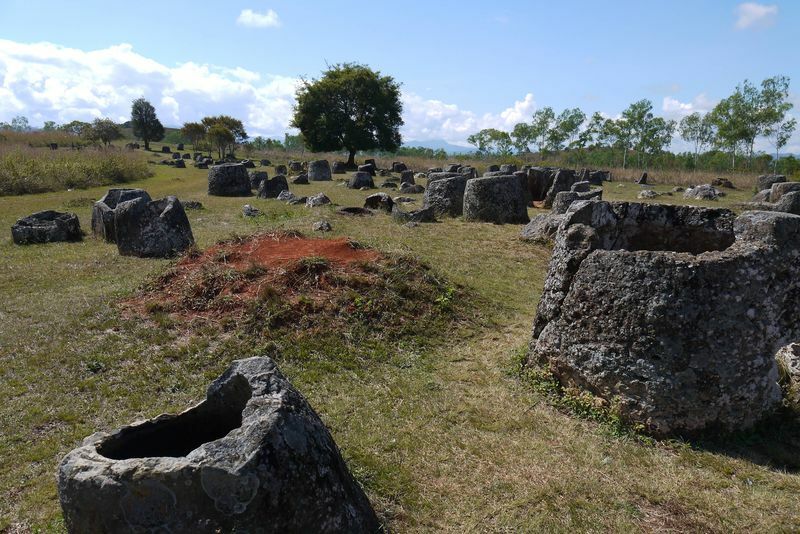 Thousands of heavy stone jars, up to three metres tall, litter the green and yellow plains of Xieng Khouang in Laos. They’ve been there for thousands of years, grouped together in clusters spread across 90 different sites, their purpose shrouded in mystery. For me they evoke images of Stonehenge, a cluster of ancient pillars assembled in a circular pattern, located back in England. Many people believe Stonehenge was built to serve as a clock or tool to calculate the arrival of solstice, while others think it was an ancient burial ground or important spiritual area. 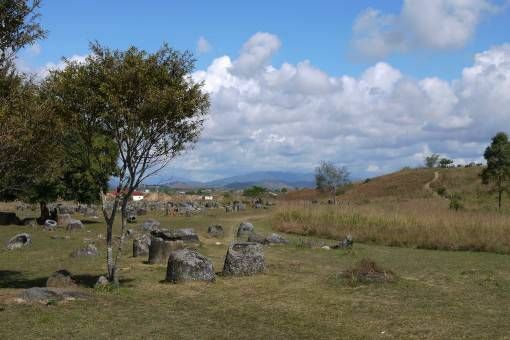 Similar mysteries surround the Plain of Jars in Laos. The jars in Laos were first discovered in the 1930s and archaeologists have since dated them back to the Iron Age. Many were destroyed or damaged during the Secret War in Laos in the 1960s and 70s, whereby the United States heavily bombed the area as part of their attack on Vietnam. Hundreds of unexploded bombs (UXO) still litter the jar sites today, making parts unsafe to visit. The Mines Advisory Group (MAG) has been clearing the area in recent years to make it safe for visitors so it can be listed as a UNESCO World Heritage site. So, what are the Mysterious Jars? 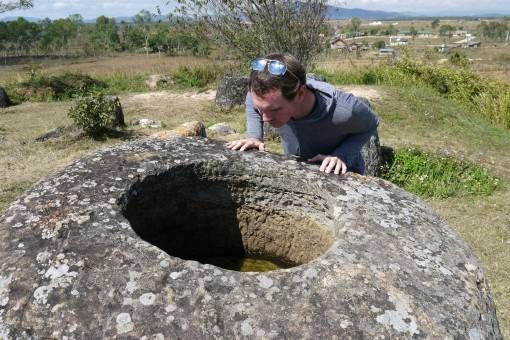 Brewing alcohol – according to Laos legend, giants used to occupy the plains of Xieng Khouang and they created these stone jars to brew rice wine and beer in. Even if you don’t believe in giants (why ever not?) it’s possible that local people used the vessels for the same reason. Funeral jars – this is the most widely accepted theory by archaeologists, who have discovered human bones and burial artefacts at numerous jar sites. It’s thought that bodies were placed in the urns before being cremated; stone disks discovered at some sites may have been used as grave-markers while lids made of wood have since degraded. Water collection – a less touted theory about the jars is that they were simply used to collect rain water during the monsoon season. Travellers passing through the plains during dry season boiled the water in them to use for drinking. We were intrigued enough about the jars to make the long-winded and uncomfortable 10-hour journey from Vientiane to Phonsavanh to see them. 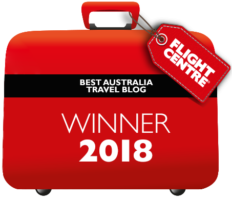 We arrived in the tiny town, which consists primarily of one main street, in the evening darkness and were immediately struck by the temperature – we were now over 1,300m above sea level and the air was icy. 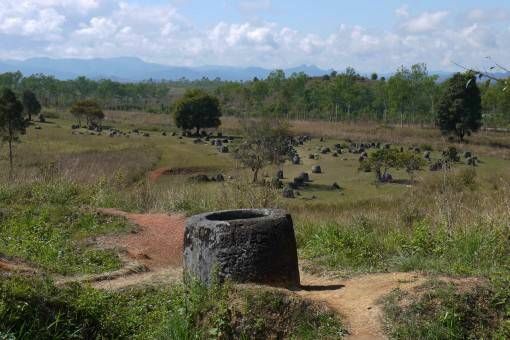 There isn’t much to do in Phonsavanh besides visit the plain of jars, but you can learn more about the Secret War in Laos and the issues surrounding unexploded ordnance by visiting the UXO Survival Centre and the MAG centre. Both are free to visit and screen interesting documentaries about UXO. You can get a tuk-tuk or organised tour out to the jar sites surrounding Phonsavanh but since the roads were quiet, flat and in good repair we decided to rent a scooter and drive out to see them ourselves. 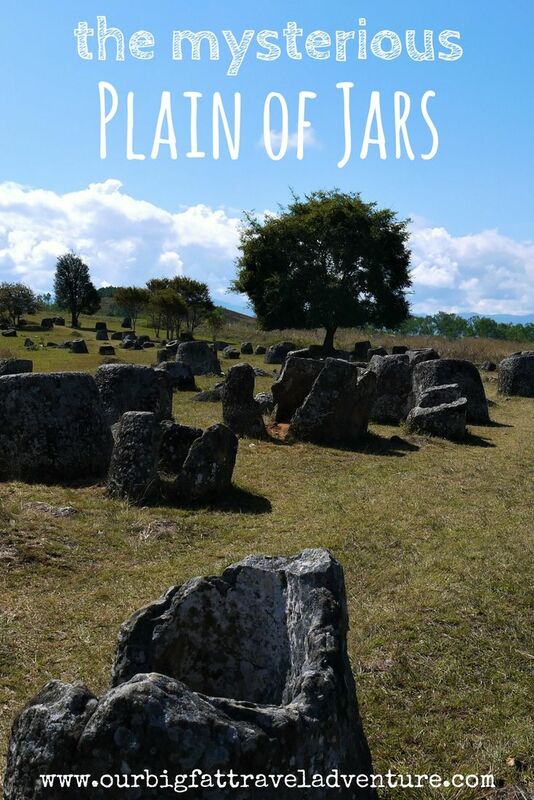 We went to the first and largest jar site located about forty minutes from town; the drive took us through stunning, almost-deserted countryside. After parking and paying the small entrance fee (£1.20 each) we made our way along the marked path towards the jars, careful not to stray off the track into unsafe areas containing dangerous UXO. Ascending a grassy bank we got our first striking view of the jars stretching out across the grassy plains into the distance. We strolled among the jars, stopping to peer inside; while some were tall and wide, others were chillingly child-sized, reminding me of the tiny hanging coffins we saw in the Philippines and in the tombs of Rome. A few deep bomb craters scar this area; some of the nearby jars were damaged by the blasts and serve as a constant reminder of more recent events. 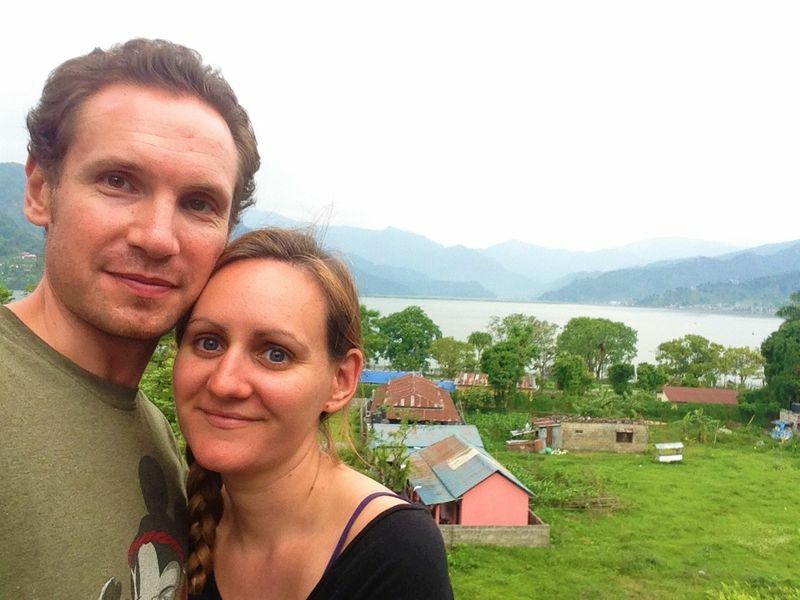 Our trip to the jars over, we headed back to Phonsavanh to arrange an excursion to another historical site – the caves of Vieng Xai to the north. Reading through this post led me to check another one: Our Mountain Retreat in Sagada. How about those coffins? I didn’t travel north of Manila whilst in the Philippines. Does it mean you also went and visited the famed Banaue rice terraces? Safe travels both of you! Don’t you love great mysteries such as the jars?! It’s one of those moments of walking in the path of those who came before us and what life must have been like for them; the culture, the customs and rituals, etc. etc. And how did they get there? Did they grind them out? Fascinating! What is your last name? I’m using this for a school essay and i need to refrence this website.